It’s hard to believe that Christmas is now behind us, and that 2019 begins in less than a week. Personally, this year is ending on a lovely note. I got to participate in two wonderful family Christmas celebrations, was reminded multiple times of what this season is really about, and now I’m looking forward to the promise of hope in the coming new year. On the writing front, not a lot has happened in the last month, and that’s exactly as planned. I decided to take December off from nearly all things writing. I’ve been able to stick to that, and it’s been exactly what I needed. When I went into December, I felt drained in just about every way possible. But as the weeks have gone by, I’ve been able to enjoy the magic of the season, spending time with the kids, crochet and bake, watch many Hallmark Christmas movies, and let the writing portion of my brain take a much-needed rest. Now, here I am with nearly six days left of my self-imposed writing hiatus, and I’m ready to get back to it again. Taking this month off has allowed me to dream up ideas, develop characters in my head, and feel more excited about what God has in store for my books in 2019 than I’ve been in a long time. One of the books that will be coming out in the first half of 2019 is Marrying Emma, the fourth book in my Brides of Clearwater series. What’s neat about this book is that Emma, who has struggled with physical challenges for several years now, is introduced to ninja obstacles at a gym she begins to work at. She’s determined to sit on the sidelines, convinced she could never get out there and do any of that. It isn’t until one of the gym patrons inspires her to not only push herself, but to see just how easy she is to love. I’m going to truly enjoy writing this book because a ninja gym has opened up in my own town. I’m certainly not in the kind of shape to do these obstacles now, but my goal in 2019 is to lose weight, get stronger, and have the confidence in myself to at least try those obstacles. Is there something you’re hoping to do or try for the first time in 2019? I encourage you to remember that, as one year closes, another one opens up to bright new possibilities. 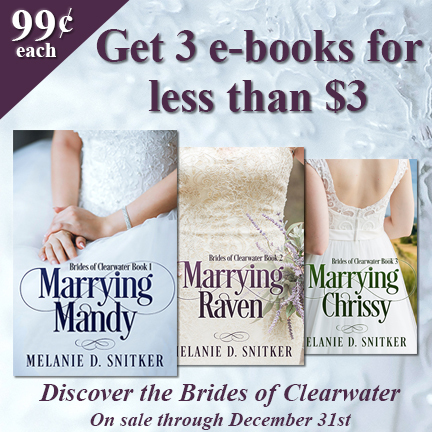 If you’ve yet to discover the Brides of Clearwater, now’s the perfect time. Each book in this series is on sale for only 99¢ through December 31st. Raven Weber hates football. As if her fiancé breaking off their engagement to follow his NFL dream wasn’t bad enough, her football-obsessed family only made things worse. 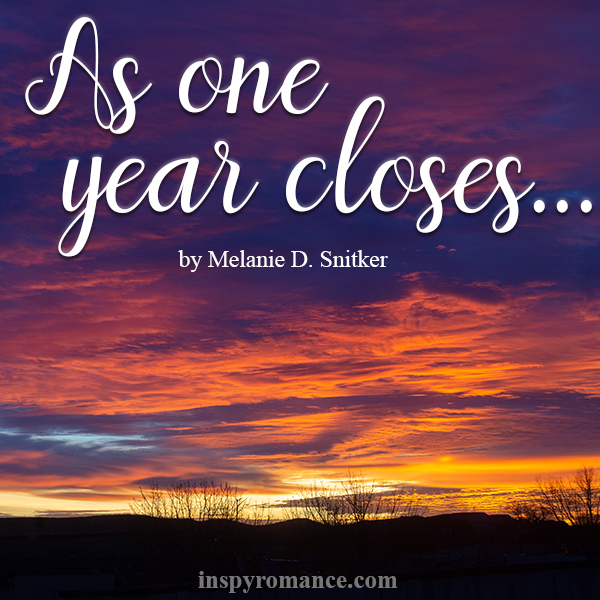 Twelve years later, she pours everything into her job as a physical therapist assistant. Helping others never prepared Raven for the day her ex would hobble back into her life. How can she remain professional when spending time with him only reminds her of what they’ve lost? The day Heath Shaw walked away from his relationship with Raven, he’d been convinced he was doing it for her. Fulfilling his father’s dream gave him the distraction he needed to get over her. Now he’s back in his hometown with weeks of physical therapy ahead of him before he can escape the past. Running into Raven was going to happen eventually, but he didn’t expect her to play a vital role in his recovery. If she’s got him second guessing why he left in the first place, what effect will she have on his heart? Her meddling family thinks this is a second chance, while Heath’s father only wants to squelch what he sees as a distraction. Raven and Heath know they should walk away, but what if they’re better together than they ever were apart? Thanks for sharing! I’m thinking of trying out a new recipe every week. What a great idea, Anke! It’s so easy to get stuck cooking the same things. I hope you find some new favorites! What a cool idea! I am going to do that also. Hi Melanie! Glad you were able to take a break and enjoy the holidays. As a teacher, I always enjoyed my breaks and would then return refreshed to the classroom. As a retiree, not sure what new adventures await me. Been dabbling with writing a children’s book for my granddaughters. Wrote two for my grandsons. Best wishes and Happy New Year. How neat that you wrote children’s books for your grandsons. I’m sure your granddaughters would love one as well. What a neat idea! Hi, Melanie! So glad you are rejuvenated, we all need a break sometimes! Looking forward to reading your new stories in 2019! As for goals for a new year, I tend spend time to get refocused on current goals more than make new ones. I’m always full of ideas and plans and research but so often get overwhelmed because what I really need is to focus on a few things. I’d like to ride my horses more. I’d like to take long walks again. I’d like to read more. I’d like to continue learning and writing. Simple goals but oh how life gets in the way of living! You’ve got some great goals for this new year. You’re right, life sure does get in the way of living. I think coming up with simple goals is the best, and it’s a great way to enjoy life. Happy 2019! I am hoping to eat healthier this year! I feel the same, Linda! I hope you find great success with it! Melanie, Happy New Year ! Congratulations on your new stories!